We will get your quilt back in the mail to you in 1 week from the day we receive it! Spring Special 25% off E2E quilting makes the price a low 1-1/2 cents per square inch! We have now added Machine Embroidery to our business! This month we will Machine Embroider personalization to your quilt FREE! Also check out our new "Quilt Shop" for custom finished quilts made to order. they can be finished and ready to send back to you within 1 week of the placed order. 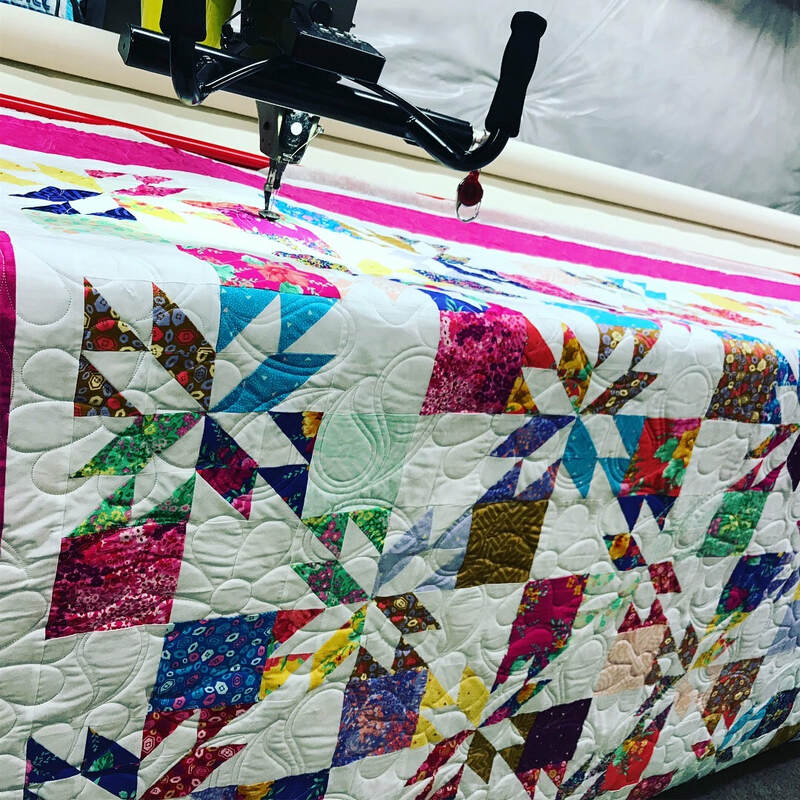 to finish your quilting project. Please text or call Linda at (801)-989-3125 if you have any questions.